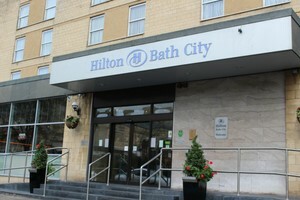 If you live in Bath and are looking to obtain your personal alcohol licence then we hold regular courses in Bath at the Hilton Bath City Hotel. This stylish Hotel overlooks the River Avon is just a 12-minute walk from Bath Spa Railway Station or the main Bus Station. The Roman Baths Museum and Bath Abbey are also in close proximity. Parking is limited in the area so public transport or a taxi is advisable. This is a one-day training course for the qualification known as the Award for Personal Licence Holders (APLH) level 2 which will enable you to apply to Bath Council and other local Councils in the locality for a personal alcohol licence. Certification for this course is awarded by BIIAB and the qualification is recognised by all Licensing Authorities in England and Wales. This one-day training course and exam. The course starts at 9 am and concludes at 5 pm which includes a multiple-choice examination of 40 questions sat at around 4 pm. The pass mark is 70%. 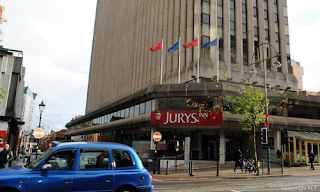 The training course is provided by one of our professional tutors using the latest digital projection technology, candidates are also issued with an APLH course handbook prior to attending the training day. It is advisable to take the course handbook with you on the day for your reference. Most of our courses in Bath attract between 12 and 15 candidates on each training day and courses are held every month. Find out more by visiting our website for course dates and more information on our training venue in Bath.